There are three primary ways that you can set your team members up to be booked. 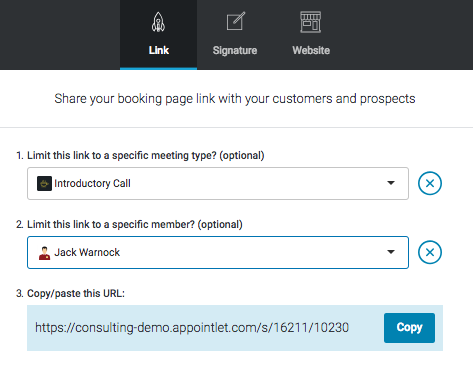 Do you need to take bookings but don't have a preference on who gets the booking? 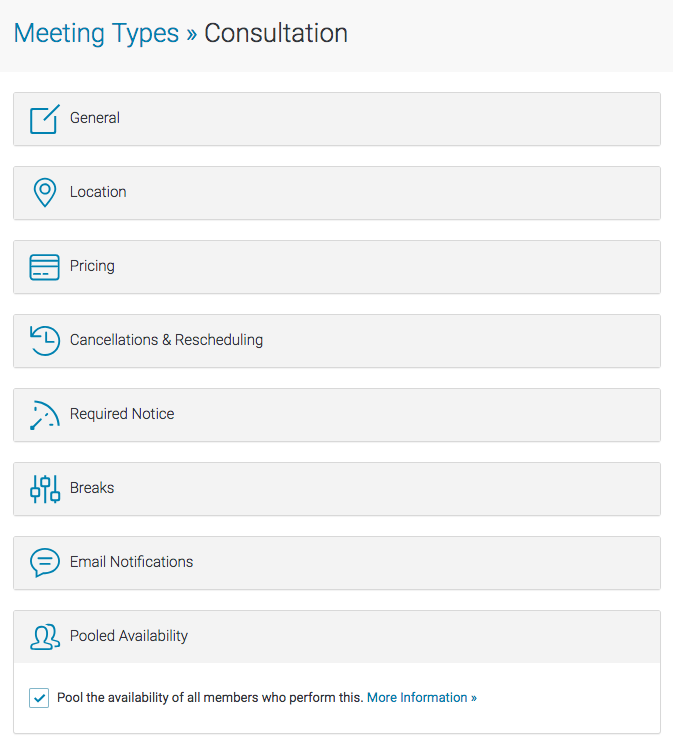 Pooled Availability allows you to have multiple members available for a Meeting Type - we choose who gets the booking! 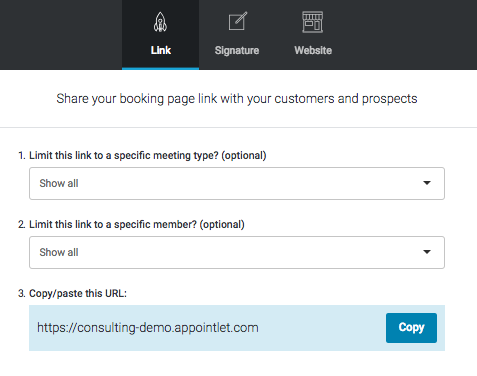 From your dashboard, click Meeting Types on the left nav bar and select one of the items that you want to update. Scroll down to the bottom of the page and click on the Pooled Availability field to expand. 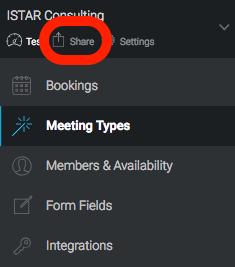 A checkbox will be revealed, giving you the option to pool availability of all members assigned to that meeting type.